Make that kind of statement from the stage at a community concert and a South African crowd would return it in bushels, particularly from a visitor showing heartfelt solidarity. In the enclosed fortress of the Sandton Convention Centre? Not so much. A smallnyana whoop of encouragement here; some scattered, though decent-sized, pockets of applause there. Mostly silence. The moment was emblematic of the event. But more about the music later. Housekeeping first. The organisers seem to have learned at least some of the lessons of JoJ 2014: the first at the Sandton venue. Signage has been vastly improved. Together with slightly more sensible grouping of acts to minimize movement between stages, this reduced the potentially dangerous log-jams around escalators we suffered last year. The dovetailing of development bands and main acts minimized sound leakage – although those bands still had no listing in the programme: continuing disrespect, undeserved by hard-working young musicians. 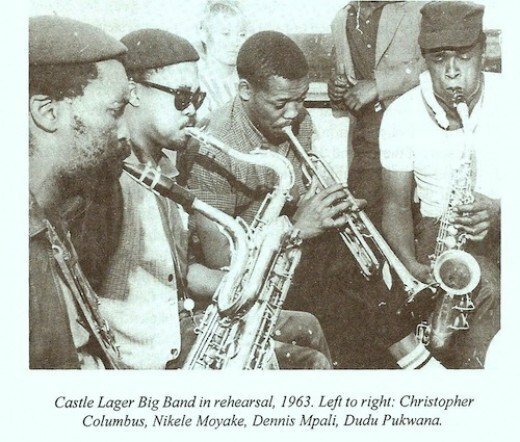 More could still be done about timetabling: some placements made no sense at all, such as Steve Dyer’s superb Confluence set overlapping with Nduduzo Makhathini, with whom Dyer could well share an audience (likewise Hugh Masekela and Ray Phiri, and Matthew Halsall and Trilok Gurtu). Timekeeping, markedly tight last year, slipped badly on Friday night this year, though less so on Saturday. Sound quality on the Conga stage was excellent, but patchy elsewhere. There were odd, unfortunate mic failures, and no-one has yet worked out a way to eliminate the harsh, glassy acoustics around the Mbira stage. However, lighting on Conga was unpleasant. Apart from the obligatory, unnecessary, smoke machine, a blinding spotlight was regularly aimed outwards at the crowd: distracting for every watcher, and genuinely hazardous for epileptics. All around me on Saturday, people were wincing and shading their eyes. The printed programme was free, and that was the right price for it. It was merely a collation of PR puffery first generated months ago, and lacked the most essential information any jazz fan seeks: a correct and updated list of personnel – every player in every ensemble. Jazz performances, however, are not usually discrete collections of fragments. The artists have planned them: they have a rhythm and sequence to their contents, representing something akin to a narrative arc; texture fluctuates; tension builds and is released. What can the blogger report if she didn’t share that experience? So dinosaurs like me prefer to listen to complete sets, trusting to an accurate timetable to offer the opportunity for speed-dating some other musical flavours in-between. We’re well aware, though, that what an artist has to say isn’t necessarily represented by one sip. 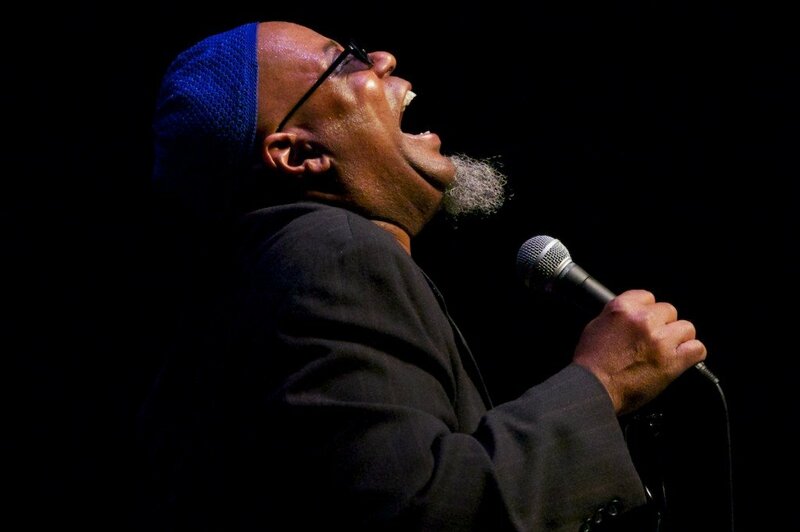 If anybody was going to sing the prose of Nate Mackay, Dwight Trible would be your man. If Ndikho Xaba was still working, he should have been there, because it was the righteous, radical spirit of the historic Black Arts movement that Trible raised on that stage – and whose spirit of sharing took him on to Matthew Halsall’s stage later for a brief, graceful guest spot. 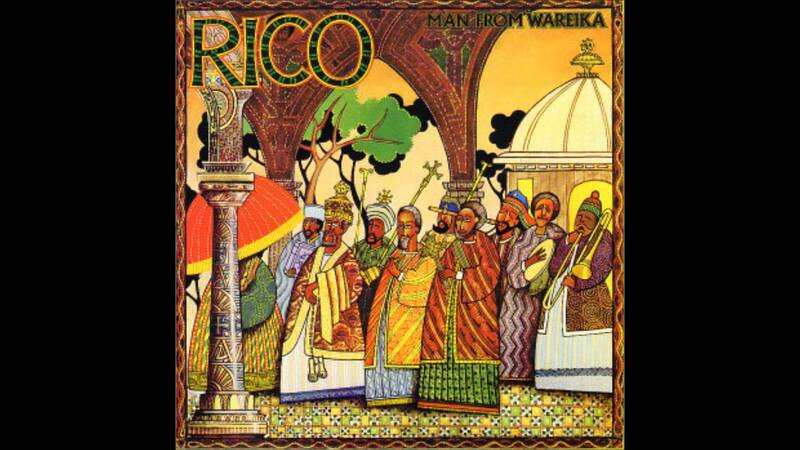 Trible walked onstage wielding an mbira, chanting for peace over arco bass, then seamlessly shifted the trance-like patterns into unapologetic hard swing. Like a sanctified preacher, Trible is a physical vocal presence, crouching, raising his arms in exultation, bending from the waist. And he has a voice without boundaries. There’s an almost bel canto quality to his falsetto when he sings straight, but he also scats and preaches and isn’t afraid of the occasional primal scream. 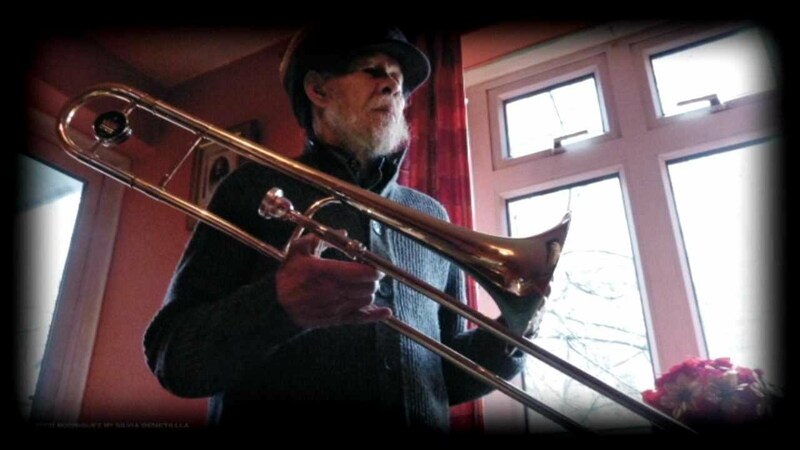 His tight, empathetic band – they’ve been together for a long time – offered thick processional textures, soaring, meditative flute, inside piano and dazzling African cross-rhythms. It was a performance Papa Legba would have smiled down on, inhabiting as it did the crossroads where Africa meets funk meets faith. Even the (normally cringe-inducing) audience singalong worked: who but the most soul-less listener could grudge invoking the name of John Coltrane? It’s harder to describe the Trilok Gurtu/Omar Sosa/Paolo Fresu set. Intense, concentrated collaboration wove ribbons of sound together: shimmering wetted bells and cymbals; more inside piano and Fresu’s trumpet carrying reminders of the electric Miles. Gurtu’s drumming remains astounding: sometimes faster than the eye can follow or the mind count. There’s only one way to listen – feel it. 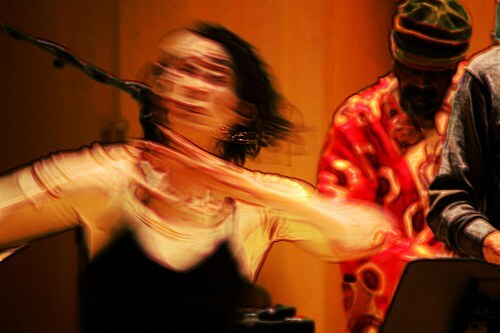 ( https://www.youtube.com/watch?v=kyJjNiJivIk ) Among the moments that stand out were a wordless improvised dialogue in konnakol, the language of Indian drumming, between Sosa and Gurtu; and Gurtu beating rhythms on water – visually striking, and symbolic of the simultaneous force and transience of the musical moment. But, again, much of the audience didn’t seem to appreciate the biting wit. Maybe that wasn’t surprising. Despite definite logistical improvements and extremely interesting programming, Joy of Jazz in Sandton is entrenching itself as a festival firmly aimed at a monied audience. The architecture of the SCC, designed only 15 years ago, still expresses the claustrophobic mind-set of apartheid. The message of the built structure, and the structure of the pricing, are about containing some and keeping others out. Maybe Parker should have stayed until Wednesday, and played RDP at the Anti-Corruption March. There, he’d have got the solidarity his sentiments deserved. NOTE FROM GWEN: Financial Mail didn’t have room for this. 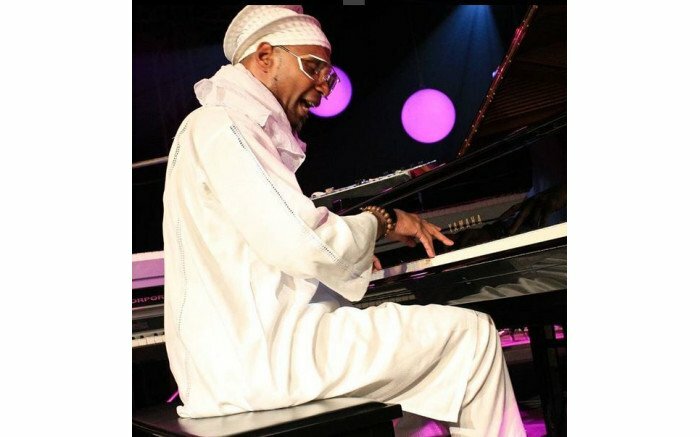 But the interview — and Prince’s reflections on the role of the Salvation Army in South African jazz — offer insights into another hidden aspect of our musical history, so, even after the concert has gone, I reckon it is worth posting. Personal celebrations and over a century of jazz history were on show when Springs-born trumpeter Prince Lengoasa and the Amaqhawezikazi Big Band played Joy of Jazz on Thursday 24th September. The date was the shared birthday of two celebrated singers: Letta Mbulu and Sibongile Khumalo, and the repertoire reflected their songs, with vocalists including Lindiwe Maxolo, Nomfundo Xaluva and Lengoasa’s own daughter Motheo. The all-woman instrumental ensemble mixed the talents of jazz professionals such as bassist Romy Brauteseth and pianist Thandi Ntuli, with those of other working musicians who have risen through the ranks of Salvation Army music education – a key source of skills for the whole South African music industry since the 1880s. The words are regularly mis-quoted, but what Salvation Army founder William Booth actually wrote in 1877 was: “I rather enjoy robbing the devil of his choicest tunes…It is like taking the enemy’s guns and turning them against him.” Booth marched his first formally-constituted brass bands through London’s desperate, impoverished East End in 1878. By the Army’s Fourth International Congress in 1914, it boasted 1,674 bands in 56 countries, including South Africa, where a cornet-playing missionary had first established a Cape Town chapter in 1883. 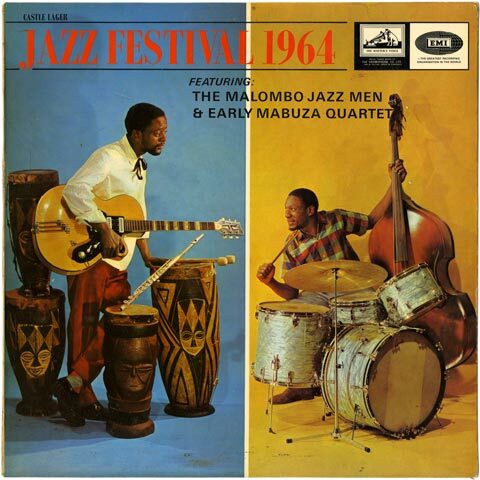 The music of Mbulu and Khumalo, the trumpeter says, was a strong influence on his musical growth. This concert let him bring together his extensive career in jazz and popular music and his direction and teaching work for the Salvation Army. He was born into the Army, travelling the country with parents who served as officers, and gaining some of his own musical education in the ranks. He is currently lay Bandmaster for the 125-year-old Johannesburg City Corps band. But Lengoasa has also spent 11 years in jazz outfit McCoy and Friends, teaches, has scored theatrical productions, and worked with Umbongo, Caiphus Semenya, the Gauteng Jazz Orchestra and currently the Victor Ntoni tribute band, the Mzansi Ensemble. 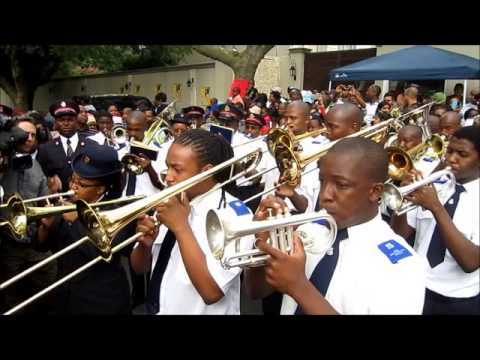 The gender dimension is significant too: “We have just come out of Women’s Month, and we can show powerful women players in the army and police bands as well as in jazz.” He cites, among many, trombonist Zanele Madondo, a police band player and teacher. 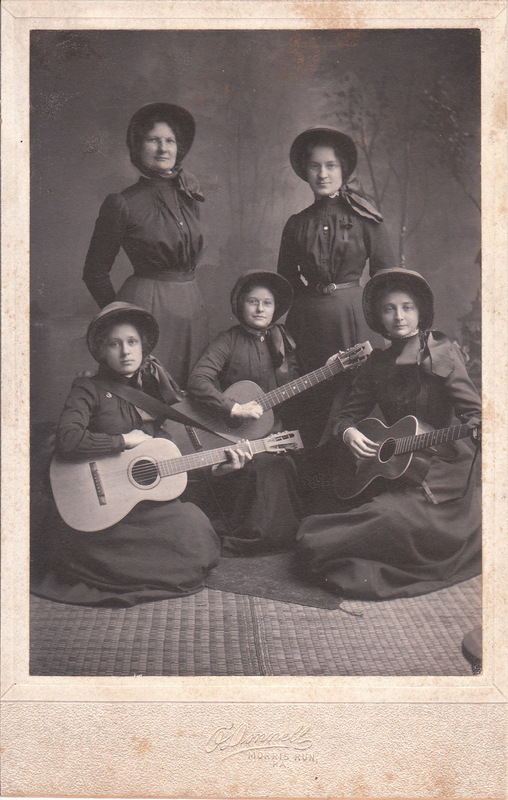 From the early years of the 20th Century, photographs survive of fearless, long-skirted female Salvation Army musicians playing every possible instrument. For women, this particular path into music offered an escape from the stereotypes of singer or parlour piano-player. 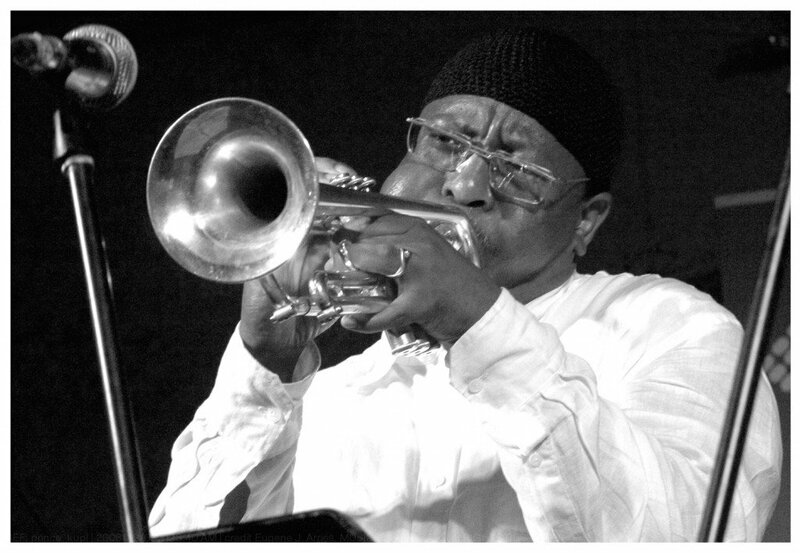 He lists classical composer Mzilikazi Khumalo – a former Salvation Army euphonium player – the late drummer Lulu Gontsana – who started in the Army on trumpet –, saxophonist Mahlangu and trumpeter Sydney Mavundla. There have been many more. 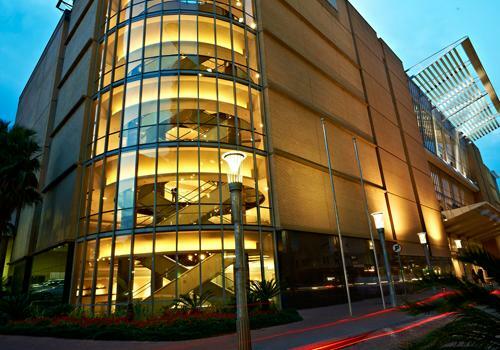 Joy of Jazz runs from September 24 – 26 at the Sandton Convention Centre. A full programme is available at http://www.joyofjazz.co.za/downloads/JOJ2015Program.pdf and tickets can be booked through Computicket. The final mega-festival of the jazz year, the Johannesburg Standard Bank Joy of Jazz (JoJ), opens on Thursday (24th Sept 2015) (http://www.joyofjazz.co.za/lineup.php ). The jazz festival scene in South Africa is clearly maturing: each of the Big Three – Cape Town, Grahamstown and Johannesburg – now attracts a comfortable audience and each is developing a distinctive character. That maturation ought to start us thinking about alternatives – because while there is much that a mega-festival can do; there is more that it cannot. A mega-festival is about entertainment, audience passivity, and music as commodity. Rarely has a setting been more appropriate than the Sandton Convention Centre hosting JoJ. It is sealed within a glittering fortress of consumerism where fools pay absurd prices for imported luxuries under the wary eye of uniformed flunkies. JoJ patrons must spend R500 (for the Thursday gala); R750 (for one day) or R1250 (for two days), plus whatever they have left for food, drink and memorabilia. If you don’t drive – and I don’t – the Convention Centre can be accessed on foot from the Gautrain, provided you can reach a station and afford a ticket. Leaving after midnight is much harder: the Gautrain has stopped running, and even Uber drivers in fancy cars may have problems running the gauntlet of access barriers. These may seem small irritations but they represent significant added costs. The message is clear: jazz is a brand for the affluent only – those equipped to purchase all the other brands that use the music for piggy-back marketing. Newtown, the festival’s old home, was never an ideal venue in terms of size, sound or distance between stages. But it was a significantly more egalitarian setting in terms of transport access. Even the lousy, leaking sound contributed, allowing those who could not afford tickets to loiter at the edges and hear something. And by its presence, Joy of Jazz affirmed the inner city and the people who live in it. All that is old history. 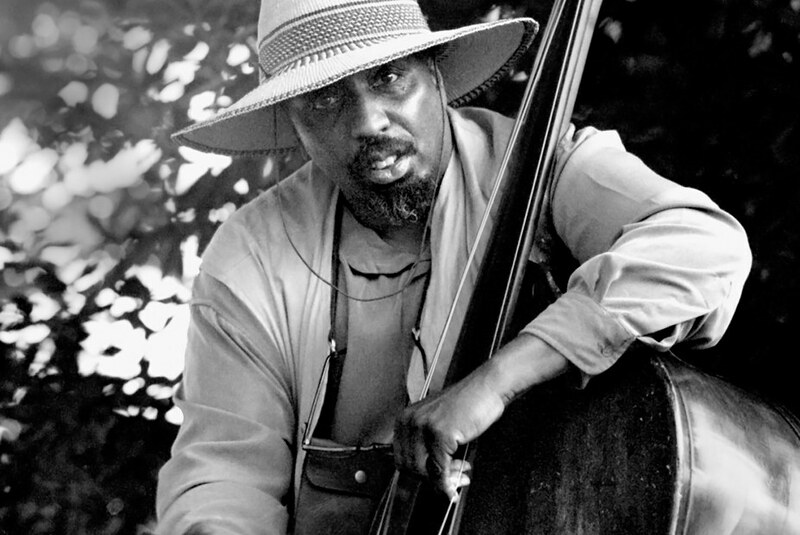 Jazz can, like any other art-form, be appropriated easily by the smug and comfortable. That does not negate the music’s power in other settings, and with other audiences. It’s time to consider starting some alternative celebrations. Smaller events earn smaller revenue – but they also require fewer resources. Take over a club for a couple of days – as the Johannesburg International Comedy Festival will do with the Orbit Jazz Club in November – and you need to attract an audience of 400 each night, as opposed to 40 000. Because you are serving a niche, rather than Brand Generic Jazz, you don’t need “stars” – local or overseas – whose relationship to improvised creativity is tenuous or nonexistent. (But there’s always the option of crowd-funding for a relevant airfare or two.) Contexts can be created where South African players – and perhaps visual artists and dancers too – come together in new combinations, and devise new experiences, live, for an audience. Make some spaces where people can talk about what they’re doing and why – because too often we criticize or interpret without listening to the creators themselves. Teach. Take the whole thing to some location where the dinosaur festivals never venture. Genre labels are always a burden, even when they serve as convenient shorthand. An “improvised music festival”, for example, might run the gamut from baroque concerti with the cadenzas restored to electronica – but it would certainly have plenty of space for the music many listeners call jazz. 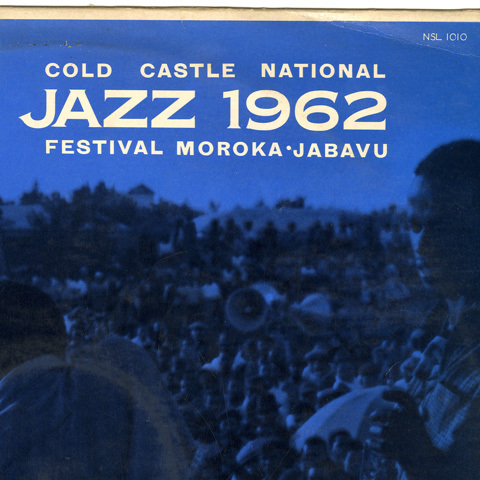 None of these is a new idea – it is, for heavens’ sake, where JoJ was born, in the living rooms of the Mamelodi jazz appreciators. That festival and others like it have, as the businessmen say, now “gone to scale”. Big ticket prices and big marketing underline their commodification; the money-men are risk-averse, and those who can afford to attend and enjoy don’t worry much about those who can’t. Those who can’t, meanwhile, are the majority of the population: the communities that historically nurtured the music’s best players and were its most astute listeners. School education is still not spreading access to good music teaching fairly; affordability still keeps many young people out of colleges, while we’ve all but lost the universities of the streets. Important spaces are empty at the small-event end of the spectrum, where creativity should be getting its first chances to flower and take risks. Maybe we can ask Dawkins for some pointers when he plays the Orbit on October 16th?